Most bands I interview make it easy, but not Blair 1523, I got a call shortly before the interview saying that not only that the location had changed, but that I would be meeting only with George Harris, to which I said, “Hey, that’s fine with me, as long as I can cut through the mystery that’s been surrounding the band for so long.” The space we met at was clean and quiet, George was sitting alone in the back, all smiles, certainly not what I’d expect, yet a pleasure to meet. Jenell: Nice atmosphere, thanks for sitting down with me. George: No worries, thank you for doing this. Jenell: Please, let’s get the preliminaries out of the way, what was your role in the band? George: I was the person who played harmonica, percussion, sang a little, danced and wrote some of the lyrics not all of them. I also managed the group. Jenell: Managing the group [?] that’s an under appreciated task, are you a classically trained musician? Jenell: First I’ve got to compliment you on the band’s name, would you mind dipping into the backstory, just so that we can put rumors to bed? 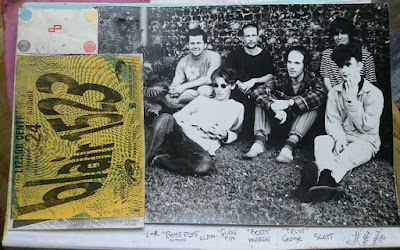 George: The name comes from the Outcasts (from San Antonio) song “1523 Blair,” after hearing it on a Pebbles Comp of Texan Garage Punk Nuggets. Myself and my brother Simon started the group in 1988 with a different line up including a different singer, name of Matt Cheeseman, and Michael Eddy as our bass player. Tim was the drummer from the off. We did some Joy Division covers as well as our own songs with noise loops. One of our songs at that time even sounded a little Franz Ferdinand with an Ian Curtis sounding voice. As that line up we played a couple of gigs in a back room of a pub in Truro with our friends The Robin Men. In 1989 Matt and Michael left the group replaced by Alan Duke and Scott Moyle. We then recorded our first demo “A Ride With …” which went away from the darker tones in sound. 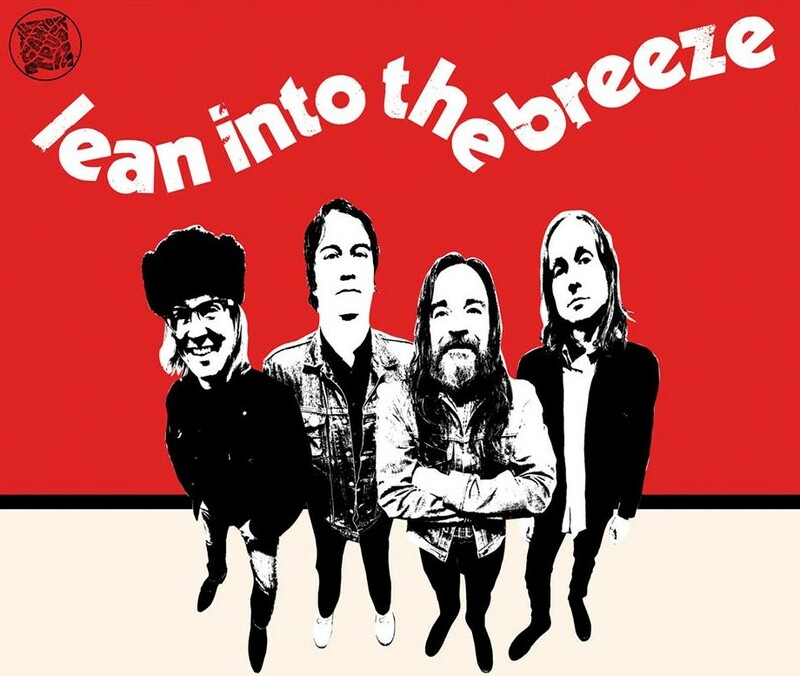 This received a little attention from fanzines and gig promotors, which allowed us to start to playing farther afield outside of Cornwall in Dorset at Electric Broom Cupboard and in Exeter at the Arts Centre. Not long after we recorded our second demo “Slyde,” much more psyche oriented than the first. Like the first it was recorded at EMS Studios in Ladock, Cornwall. Tiny studios run and engineered by Robin Wood. The songs from this demo as you know ended up on the Beautiful Debris LP. This demo alongside a live recording from EBC in Dorset got us our first record deal with Wilde Club Records. Now, prior to this deal we played a few gigs around the country including London at the Camden Falcon supporting Chapterhouse. 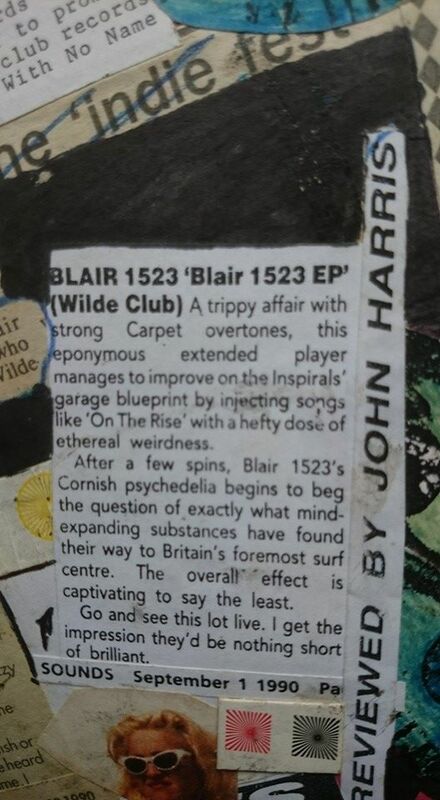 We gained a favourable review of that gig in the Melody Maker. 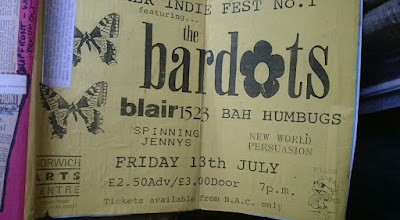 After this gig we also met Sonic Boom [Pete Kember of Spacemen 3] for the first time in Rugby. Our van driver Al Docker who also played keyboards in a band called The Is knew him, saying he would drive us to Rugby that night to stay at the Darkside’s house which was run by their manager Goff. We knew the Darkside after they had played some gigs in Cornwall. We ended up meeting Sonic [Pete Kember] over some beans on toast in the kitchen around a large table. We chatted to him for a while, as I remember. We passed on our “Slyde” demo to Sonic then as well. All and all it was a good meeting point. He showed us the artwork for the first solo album Spectrum which was a series of turning plastic graphs as I remember. We ended up staying at the house a few times after when doing some gigs around the country. Jenell: Your music is quite atmospheric, and several people have cited you as being part of the neo-psych movement, and while I can hear that attribute, what really stands out for me is the fact that you seemed on the verge of reinventing the shoegazer sound from the 90’, making it more sonically intense. George: Interesting perspective and thanks for saying that. We came out in the middle of the post baggy ‘Madchester’ sound in the late 1980’s, early 90’s world that eventually became Brit Pop. We delved into a lot of different sounds at the time never really settling for one or the other. Our last few rehearsals started to sound much more garage punk before the group split, which were described by someone to sounding like Billy Childish after hearing them on the Myspace account we had. It would have been interesting to hear what we might have sounded like if we carried on. Jenell: Considering those answers, you’ve created what seem to be very intimate songs, is it difficult to lay yourselves open both musically and lyrically? George: I think we were just finding ourselves in the sounds not settling for things. We used volume as an instrument at times. This sometimes hindered our progression … in hindsight. Jenell: With that in mind, who are your influences, whose album is on your turntable at this minute? George: Now it’s Robert Wyatt, ComicOpera as a constant player plus all his output, Benjamin Zephaniah, Charles Mingus, Sun Ra, Art Ensemble of Chicago, LKJ, Stereolab, Moondog, Cornilus Cardew, Steve Reich, Ivor Cutler, Sleaford Mods, Serge Gainsbourg, Can and friends Metamono. I also love Northern Soul as well as The Beach Boys’ Smile and Pet Sounds albums. Jenell: You came out with a pretty strong album of sorts, though it fact it really wasn’t a formal release. Would you breath some life into that saga? George: The album Beautiful Debris was a compilation of our second demo “Slyde” which Sonic Boom heard and three tracks off the Wilde Club Records EP. Sonic was originally considering us for his Bop A Sonic Label before we got the deal with Wilde Club. He later played the material to Greg Shaw from Voxx/Bomp whom rang us to talk about a possible release. We were still signed to Wilde Club and talking about doing a second EP after the label made some money from the Catherine Wheel. This didn’t happen and there were delays leading to new recordings. It got very frustrating. It was one of the reasons we decided to go with Greg Shaw’s idea. We directed him to talk with Wilde Club and so we ended up licensed to Voxx/Bomp for the release in USA and import everywhere else. It then came out months or even a year after Blair 1523 split. Shame really, in hindsight we should have carried on and ironed out any issues we had as well as improving the sound. You can hear four tracks from rehearsals of this time on BandCamp. I set this up recently as part of the on-going archive. Jenell: Your vocals range from hushed and layered to front and center, yet there’s a juxtaposition to all of those vocals that just shimmer, with much due to supporting instrumentation, how did you achieve that? George: [smiling broadly] Through magic and living by the sea. Jenell: You’ve developed a fine line between your music and your lyrics … does the poetry follow the music or vice versa? George: It was both ways really and still is. Jenell: I don’t mean for this to sound derivative, yet there’s an ethereal quality to your songs that ride as half remembered memories, is this idea of being both new and old in the same breath important? George: That appeals to my current spoken word thoughts, writing and performance. Not sure if we thought about that at the time. It just came out that way. Jenell: With the band flying under the banner of Blair 1523, and Pete Kember receiving your music, I’d be remiss if I didn’t ask you about drug experiences, and how much did/does being under the influence effect your creative process? George: It’s not in any way a part to how I create now, and wasn’t then in my opinion, personally speaking. Jenell: As to the creative process, was this a collective effort? And what was the songwriting process like? George: A lot of the times songs would start from jamming them out in rehearsals. A guitar line or a bass riff would start it off. I wrote some words before-hand outside of that space. Thinking now in hindsight I wrote my words as individual poems. I would give them to Alan who also composed his own words. We often made cut ups of both. Pale being one of those songs in particular as well as the track “Violins.” It was a collective process I suppose, we all contributed to. George: It takes many forms from the classic Garage Twang sound to the Big and Booming with drones. I love the ones with a big soul kind of groove that chop in with all the above elements. Also love things like Comus with a dark and folky twist. Jenell: A quick few words please about effects and pedals for our musician readers. How are you mixing and what electronics do you find most helpful for your sounds? And with that in mind, how do you determine when to use, what to use, and how not to overuse effects? George: In hindsight, space is the key along with silence… the gaps help to build dynamic in a composition. Jenell: Are you at all aware of your fans, and how would you describe your core listeners? Do you hear from them? Do you find younger folks latching onto what you’ve laid down? George: When the group was going we did receive some lovely hand written communications. We had one person writing to us from Japan called Miki after our EP was released. As well as others in UK, France, Italy and other parts of Europe. Building up a fan base, through a network of printed Fanzine Articles. 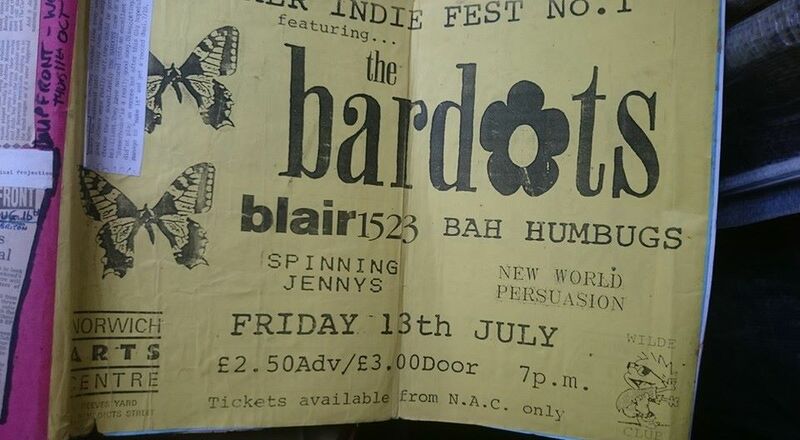 We also connected locally in Cornwall, Dorset, Exeter and Bristol getting a lot of people coming to the gigs when and where we played at the time before we were signed. We played a lot of gigs in Falmouth at a wonderful venue called Victor Dragos with great local groups like The Vulgarians, The Robinmen, Funpark and Peppercorn Rent. It was a great venue that was sadly closed down to build a public swimming pool complex. I don’t remember any empty venues, but there probably were some. 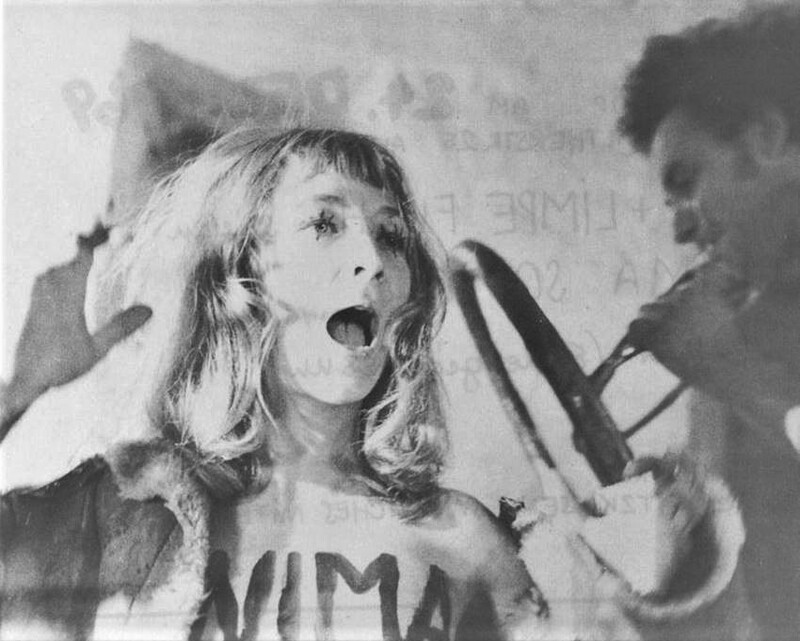 Later when we ventured out to the UK I think audiences varied, we sometimes felt we may be have scared people … maybe in a proto art way. This wasn’t intentional we just did what we did. Some loved and some hated us when we played live outside the comfort zone of the SW. We brought a number of groups down to Cornwall to play including Jane Pow, The Becketts, Basinger, Headtime along with the Betty Pages. 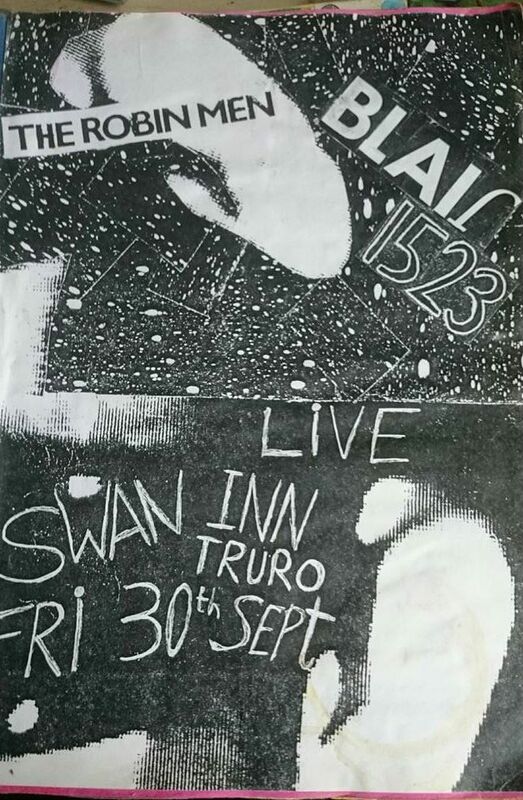 One of the gigs we were meant to play was supporting Primal Scream in Exeter in 1990. I think just after our single was released. We got the slot through meeting Edward from the group Headtime at a Spacemen 3 gig a few years before at the University in Exeter … that was before we met Pete. Edward was also a promoter. We were really up for the gig, but we ended up getting a phone call from Edward in the last week or so before it was happening saying that Primal Scream didn’t want a support act that night. Some of us went along anyway. As it turns out that was the night they met Andrew Weatherall for the first time. Not bitter in anyway it’s just part of the tapestry of what happened. Once our single was released we had gigs with the Boo Radleys, The Becketts and The Darkside as well as friends from Southampton and Brighton, Jane Pow and some others that I can’t remember right now. Later on we were getting phone calls from some clubs in Brighton, but at that stage the group was on the verge of ending. Its the choices you make. I have recently been discovering more people who liked the group through the LP Beautiful Debris release. This is on blogs, forums and other internet sources discovered by typing our name in to the search engine. I initially set up a MySpace account for the group in 2000’s, this lasted for a bit where other bands and fans made some contact. It seemed a few younger groups have or had cited us as an influence, one being the The Hoa Hoas in Canada. Not sure how many others are though I have not researched it fully as yet. I also set up a LastFm account for the group where some people like us. Both the MySpace and LastFm are redundant sources now …in particular MySpace. I’ve recently set up a FaceBook page which is easier to operate and a number of people have now joined it. This page includes cuttings from the time I originally put together in two scrapbooks, as well as links to videos of the group others have made, including articles written about us as well as a link to a BandCamp page. I feel the internet has now made it all easier to access and archive. When the group was going I was managing them through public coin phone boxes, my parent’s house phone and the photo copier. Late night trips to paste posters for the local gigs. No internet at all and somehow achieved what we did. Now the Facebook page is slowly building up with people liking the things I post on it. It would be interesting to find out how we would fare in today’s climate of social media if the group was still going now at the age we were then. Jenell: I know only a handful of musicians who are totally happy with their instruments and equipment … with your wishes granted, what would you like to be holding in your hands, or plugging into? George: A string of Radio Phonic Workshop Tape Recorders, a Rhodes Electric Piano, Steinway Piano, some electronic devices … all retro gear, and a studio willing to work with what I am doing now with Alison. Jenell: Are there any instruments or sounds that you’d like to bring on board in the future? Which would spark me to ask if perhaps Blair might just manage to pull themselves back together as Luna did? 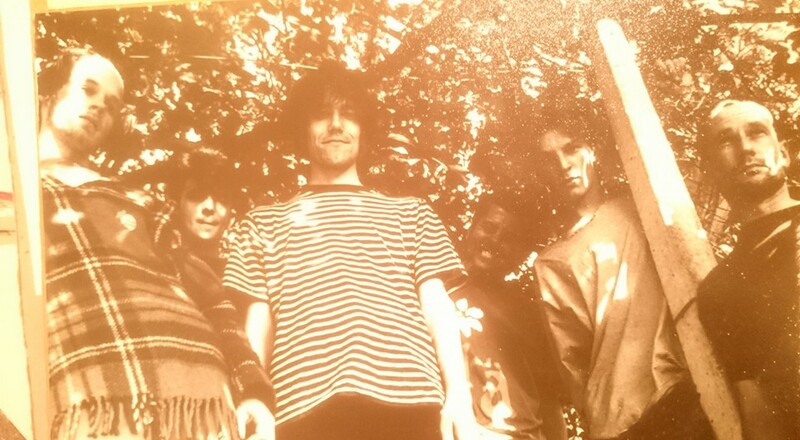 Though in the same breath, Jason [of Spacemen 3] refuses to play those old songs. George: Blair 1523 was then and will not reform. We met recently for a social, but can’t see it happening as in playing music again. It was fun to meet the rest and reminisce on the group and the times we had. I am personally happy with what I experiment with now in the spoken word and contemporary music world. I am also an artist in photography and painting which takes up a lot of my time. 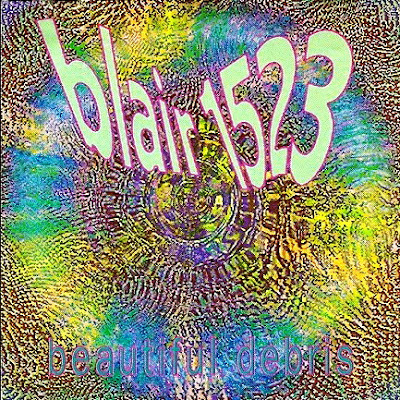 I don’t mind keeping the Blair 1523 Facebook and BandCamp pages going in the sense of archive material purposes. Jenell: Are you perfectionists, or do you let things happen? George: I would say I am a perfectionist to a point, but realize things need to breathe to grow and form something. Maintaining a halfway point and letting things flow. Not being too much of a perfectionist that it ends up stifling the creative process. You could be a perfectionist of letting things happen. Jenell: Along those lines, did you stretch out when playing live, or did you stick to the script? George: I think at times we did stretch the songs sometimes too much maybe wound up the audience at times. The script did keep changing. Jenell: Was your material set in stone by the time you recorded, or was it an evolving process? And with that thought, are there any songs you’d like to revisit and perhaps change? George: I think we had some songs set in stone, but some were formed in the studio process. Alan and Andrew wrote “Take Me There”, the fourth track on EP and Wilde Club Compilation LP in the studio. This worked in that situation, though we never did it live. Some songs we tested live, but often kept changing them. The “Slyde” track formed out of a jam as far as I remember, but was also formed in the studio process. The engineer Robin Wood had to leave the room because it was all too much, too loud so we took the controls. I think it might have been Alan and Scott on the controls with all of us making decisions on it. Even after the “Slyde” demo we changed the set again never resting on a set of songs. There are some live gig tapes we have from around that period where we did none of the demo songs. We may look into sorting the sound out on them to put them up at some point. Need some time to do that. Jenell: [laughing] You had two tracks without titles, have you decided what to call them yet, because they’re both very good? George: They always had titles, but there was a misprint on the artwork for LP. A2 “Balloon Of Vivid Panic” … this didn’t appear on artwork only on vinyl label. B3 Slyde called “EL SID”, that didn’t didn’t appear on vinyl issue of the LP. Jenell: Aside from huge success and OD’s in a Porsche 911, what’s eluded you, something that was just out of reach resting in the ether that you’d like to bring back to terra-firma? George: Yes the huge success didn’t really happen. Except a small cult following of sorts! As for what is in the ether I would like to have something to bring good changes to the world. Not in an overblown way, just a little something to sort it out for the better. A kind of universal Socialism with no hierarchy. Let’s work it out. 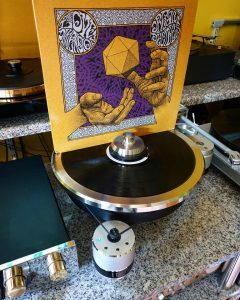 Jenell: There are those who feel that psych music is an extension of what they can ingest, and while you can certainly enhance the experience, would you suggest that psych music in and of itself can be the experience? George: Personally I would say music has a great power to take you somewhere else without enhancements. Jenell: Of course this brings me to your stage presence, what was that like? George: Difficult to tell as we were on stage not looking on. I have said we sometimes scared audiences it seemed. But other times we did not. Our local gigs in Cornwall we sometimes put together a homemade light show with slide projectors and get a friend to warp it through a glass jar. As with the music I think we were learning as we went along. Using a DIY aspect to some things. Jenell: I grew up with what we called Progressive Radio back in the 60’s … did/do you find the lack of radio airwaves to be a hinderance, or have you found ways of working around that, [laughing] to bring light to the masses? George: There was some radio around. When the EP came out John Peel on Radio 1 picked up on our track “Swell” and played it a few times. We also had contact with a show called Contrastes in Belgium run by Thierry Nolley. It was broadcast through various FM stations in Europe. We were also on various other radio shows in Europe like Nocturnal Emission and Graffiti FM maybe more. This started to happen before any deal and they played our second demo and the EP when it came out. I think it developed through the fanzine network which we were printed in at an early stage before a record deal was in sight. 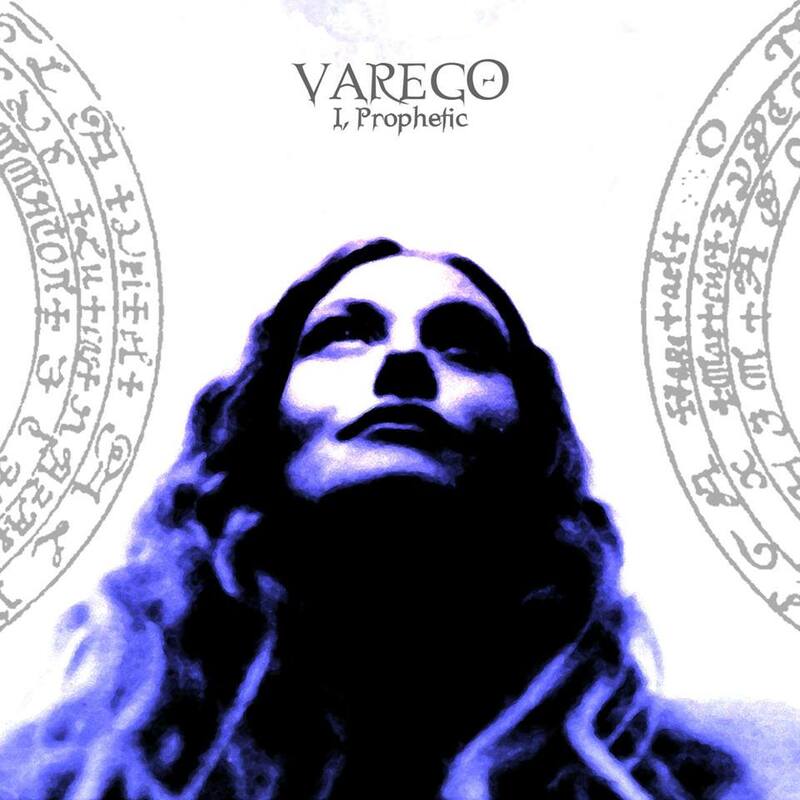 I believe the Beautiful Debris LP was aired on US College Radio when it originally came out and has been played recently on a Psyche Show in Nashville. They can be found here: www.facebook.com/nashvillepsych. In the sense of now with internet and DAB radio, BBC Radio 6 Music, ResonanceFM as well as TuneIn there is more radio around with specialist leanings. Also with the likes of Soundcloud and Bandcamp bringing the music direct to the listener from the artists, through the internet cutting out the middle people. Jenell: Thanks for the history lesson of sorts … I’d now like to know what you have been doing since those heady days? How have you each expanded on your presentations and styles, and how has your initial incarnation affected what you’re doing now? George: I carried on in the musical form on and off through various groups over the years including a folk outfit called Medicine Sunday in London just after Blair split … some members of Medicine Sunday ended up becoming Circulus, and lasted through 1993-1996. In 1999 after doing a foundation in art and working I went to University and studied a photography degree in Derby and became an artist exhibiting to the present day. I worked in art galleries and set up an artist collective. I joined another group called the Dust Collectors, a mini orchestra of sorts and oddments, recorded and played a few gigs, events in East Midlands until 2010. Now I am using spoken words in a project called Brother G and the Trouble with my partner Alison O’Melia working with collaborators in this experimental contemporary music ensemble. Our music and words work in the sphere of politics, social understanding, abstractions and the environment. We are currently based in South London. 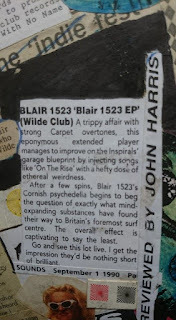 I would say Blair 1523 had a big effect on my life when it was in full flow. I think I have learnt from the mistakes made and keeping control on what you do is so important as well as letting go of the unnecessary when it needs to happen. Jenell: I know that you and your mates have managed not to kill each other, can you offer any advise on avoiding the pitfalls of such an intimate relationship, or is the aspect of infighting just something folks need to work through? George: [laughing out loud] Live in opposite ends of the country. Only joking. Also talking is a good one, keep in touch. Be true to yourself! Jenell: Sorry … didn’t mean to take up so much of your time, is there anything that I’ve overlooked that you’d like to say, and please, where can we find you on the underground World Wide Web. George: No worries it’s been enjoyable. The Dust Collectors can be found here – www.facebook.com/The-Dust-Collectors with links to videos photos and other things. The current music project Brother G and the Trouble is at www.worldofsurprises.co.uk as well as on Soundcloud and Bandcamp also on Facebook. My artist website is at www.georgeharrisphoto.co.uk featuring my photography, painting and film projects. With that I gather up my notes, cued up Blair on my iPod, yes I still love that technology, and headed off into the night. Enjoyed doing this interview. Here is the actual link to a later group I was involved with called the Dust Collectors.